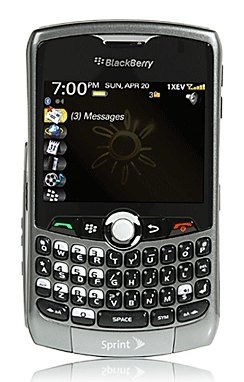 RIM won't give Indian Government backdoor to BlackBerry emails | BlackBerry Blast! The on again off again battle over the Indian Government's requirement that Research in Motion give them a backdoor to all BlackBerry Emails is taking another turn. Is this the final answer from RIM this time? RIM has finally told the Indian Government that they have no way to provide a backdoor to its email system. According to a statement released by RIM, the encryption architecture used for its email delivery system does not allow for anyone to break open ciphered messages. Not even RIM can break the encrypted messages because they cannot access the keys. "The BlackBerry security architecture for enterprise customers is purposefully designed to exclude the capability for Research in Motion (RIM) or any third party to read encrypted information under any circumstances," the company was quoted as saying. That's good news for RIM users and bad news for the Indian Government.